Cisco CCNA Routing and Switching. 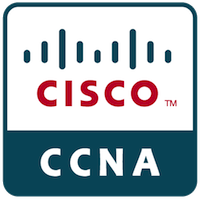 Cisco Certified Network Associate Routing and Switching Certification. For network engineers who need to increase their value to employers and stay current with advances in networking knowledge and skills, the Cisco CCNA Routing and Switching certification program provides the education and training required for installing, monitoring, and troubleshooting network infrastructure products designed by the industry leader in IP networking.